We've been shopping for things for the house remodel causing me to spend more time in Home Depot than I ever thought I would. Today I came around a corner and saw this sign. I have a hard enough time making decisions, and it's even worse when I'm presented with choices so similar - a curve here, the shape of a handle or seat there - it's as if I'm looking at the same exact item. Why does anyone need more than 600 choices for toilets?? 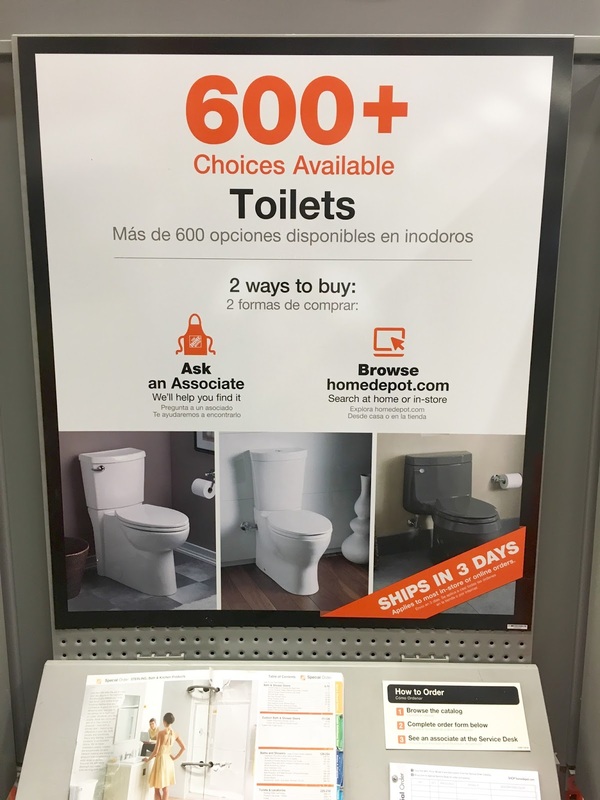 I'm all for aesthetics, and I do like the subtle differences between shapes and colors, but I'd wind up with no toilet in my house if I had to choose from more than 600 styles.